The fans have been calling out for Stephen Constantine since the defeat against the Kyrgyz Republic on Tuesday night. India's much-fabled 13-match unbeaten run came to an abrupt end as the team, devoid of talisman and captain Sunil Chhetri, lost 2-1 in their final AFC Asian Cup Qualifier in Bishkek on Tuesday night. India have already qualified for the continental extravaganza in the UAE next year and to that effect the game was inconsequential. But, the public reaction to the debacle has been sharp. Notably, at the receiving end of much of the furore are not the players who turned out on the pitch on Tuesday, but the man who guides them from the sidelines. Let's be honest, Stephen Constantine would not win a popularity contest voted for by Indian football fans at this time, if ever. Yet, for a team that has qualified for the top continental competition for the first time in eight years and one that fairly recently re-entered the world's top 100 in the FIFA rankings, you might wonder what the fuss is all about? Well, those batting against him do have their reasons and on the evidence of last night they aren't too far off. #ConstantineOut trended on Twitter on Tuesday evening on a day when #KGZvIND should’ve. Even with qualification already secured the game had a lot riding on it and a win would’ve helped India in a way the AIFF and the manager wanted-by attaining them their highest ever global ranking-not a way it ideally should. The 55-year-old tactician has probably forgotten that football is played on the pitch and not by statistical analyses calculated by FIFA ranking experts, or, does not have enough belief in Indian (some) players. Ironically, he’s at the helm of the national team, runs a scouting programme, and was recently awarded an extension until April 2019 (through to the Asian Cup). Coming to the point, there is one fundamental problem at the heart of the various reasons listed down by the fans baying for Constantine’s removal: playing style. At times, it seems that the Indian team plays with nine players: two non-existent midfielders. The problem has been perpetually the same, with Macau being an exception. Well, Macau are 186th in the FIFA rankings and certainly don't know the tricks Constantine knows. With that said, here are the four major bones of contention most Blue Tigers fans have with the direction in which their national team is currently heading. The composite Indian squads, in recent times, have always featured at least four left-backs and just one right-back, Pritam Kotal. His exclusion before the Kyrgyz game opened the door for ISL Emerging Player of the Season Lalruatthara to make his debut in national colours. It also opened the door for Anton Zemlianukhin, easily the most creative player in Kyrgyzstan’s armor to put his side ahead in just two minutes on Tuesday. The #22 left winger toyed with the Kerala Blasters man with ease throughout the game and the referee’s leniency helped the right-back to remain on the pitch for the 90. Inexperience? For a player who makes 4.3 fouls per game, it is shambolic and questions his positioning. A quick look at the stats of competitors Rahul Bheke and Seriton Fernandes provide more insight on where the manager has gone wrong. Bheke, easily one of the best defenders in Indian football last season, made 1.4 fouls per game with a passing percentage of 82 throughout the season. Seriton, at FC Goa, made just a foul per game and had 86% passing accuracy. It is worrying that the Indian national team manager does not consider these facts. Well, his selections have always been on a whim: Physical and dominating. These two, are in no way, poorer than Narayan Das or Mohd. 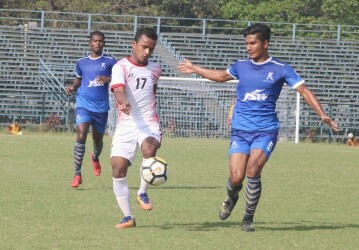 Rafique, his first-choice left-back and central midfielder respectively. English mindset? Let us take you to England. Not a lot of Indians know Nick Pope. Goalkeeper at Premier League club Burnley, the man formerly distributed milk and is currently in the England squad after strong performances this season. Isn’t that the exact reason for national leagues all around the globe? In India, it seldom has an effect on the myriad thought processes of the man in the hotseat and his selections. How else do you get selected for the Indian national team if you’re performing for your club? Is nepotism the root cause? Or is it the rigidity and non-flexibility of a manager crippling the national side? Clearly, the football India play on the pitch against their opponents is cringeworthy. Shambolic in possession, the team has won two major games with counter-attacks they probably can’t reproduce even on the training pitch. When you play against a team with four of your regular starters out, you ensure stability and solidarity at the beginning of a game. Instead, India conceded in the second minute, playing catch-up for the rest of their game. The team never recovered, it never does. The strikers have their full-backs and centre-backs as their ball suppliers and not the midfield. Not the wider case in the game across the world. This system, thus, is flawed and has remained unchanged ever since the Englishman started his second stint. A section of the Indian football team has allegedly been unhappy with Constantine's methods for some time now. But, not match has been done at the organizational level to resolve the same. According to Khel Now sources, players have said that even when the group showed its grit against the manager, the federation did not stand with them, thus, forcing them to end the protest. AIFF President Praful Patel was asked about the same at an event on Tuesday and he said, “What you are talking, is very hypothetical. Until and unless. I hear something, I cannot go by some murmur in the media. I have to be told concretely by somebody that there is a problem. If the problem is not conveyed to us in the right way, I am not going to go on a fish-hunting expedition." 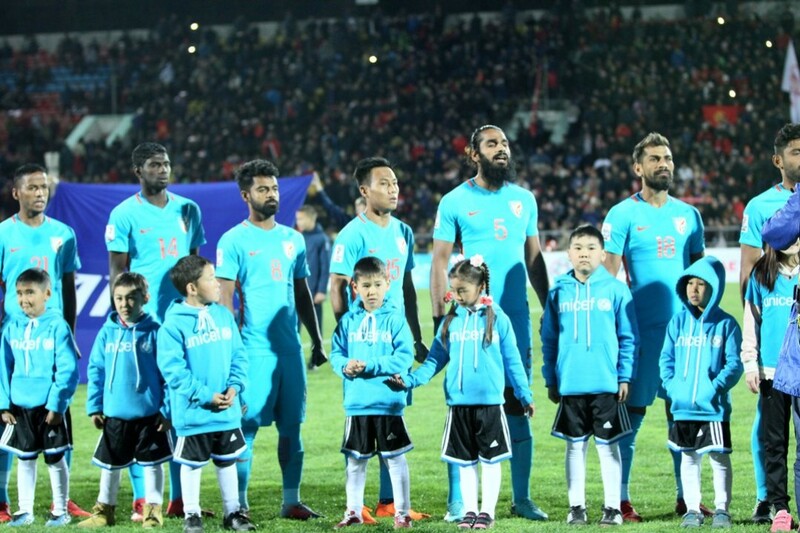 Prior to the contract extension, there were widespread reports that the Indian national team camp is unhappy and that the players had requested for a change in management. Instead, the same man is now on course to lead the team at the Asian Cup. "Today was the 37th player who made a debut since my arrival. In this squad, I have 11 U-23 players, three of those being under 20. We have a good future,’’ Constantine asserted after India’s defeat in Bishkek. Mourinho-ish? Certainly. Very few players have made it to the team in a role that belongs on the pitch and most of it is probably marketing for a manager who is creating an illusion about his love for youth and openness for new players. In reality, his ethos is the exact opposite. It is that of a rigid man who’s not flexible to attempt something new. Constantine is taking Indian football, on the pitch, to new lows every time the boys walk out. Justified or not, the reasons that have been listed here aren't baseless and will make you wonder: Is Indian football on the right track under Stephen Constantine? I wasn't shocked by our performance today (partly because I don't believe our best 11 started). But @StephenConstan comments make me cringe. 1.Rankings are not due to you, it's AIFF. Did we even have a Midfield? Only player that was making any effort was Rowlin Borges. wondering what Rafique was doing for whole 90 minutes!! Probably he was picked just to represent i league. #ConstantineOut . Lost ! Lost ! Lost ! Coach Stephen Constantine has lost India's Midfield somewhere. If found please contact concerned bodies. After watching @IndianFootball playing agnst Kyrgyzstan I don't knw why AIFF extended contract with @StephenConstan . There was zero tactics in that game. #Constantineout. @kbfc_manjappada @IFTWC . Get him out of here. Agree that you have brought the team to where it is now... and we don’t want to see it go back there. You have done well.. and your time is up, pass on the baton to your successor. Was there a strategy for tonight gaffer? Seriously? Poor performance from the team. Credits to the under dogs.